The extensive coastline of Karnataka is enriched with appealing beaches, which offers a relaxing getaway to the tired spirits seeking relaxation. With long stretches of golden beaches and the blue marine waters, the region brings complete harmony in the life of its visitors. Beaches in Karnataka are known for its immaculate natural beauty, recreational activities and incredible sunsets. 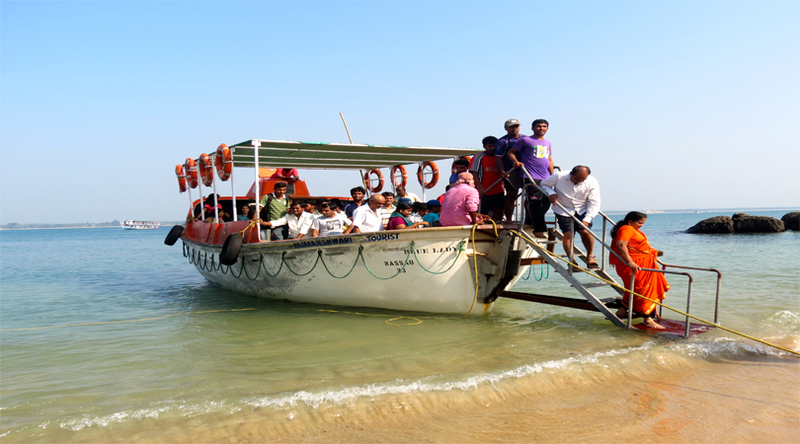 Explore the scenic beaches of Karnataka that ensure a relaxed vacation to the tourists. Here is the list of the most popular beaches of Karnataka that allure the tourists with their exclusivity and distinctiveness. Situated on an island accessible through speedboats from the Karwar coast, Devbagh beach is a charming beach studded with casuarinas groves. The beach provides a relaxing getaway from the chaos of the city life. The ivory beach and dazzling waters soothe the senses of the visitors. Devbagh beach is the ideal retreat for people seeking solitude and serenity. You can relax around the beaches or soak in the sunshine. Visitors can live in tented cottages or huts and enjoy the wonders of nature under the stars. With an unspoiled, calm ambiance, the secluded beach of Karwar offers an ideal destination to recreate and relax. Situated on the thin shred of tropical sand, Karwar Beach is situated between the Western Ghats and the Arabian Sea. Dotted with palm trees, ivory beaches of Karwar create a calming atmosphere that provides a wonderful retreat for all kinds of tourists. With breathtaking beauty, charming sunsets and azure waters, Marawanthe Beach leaves the visitors fascinated with its calmness. 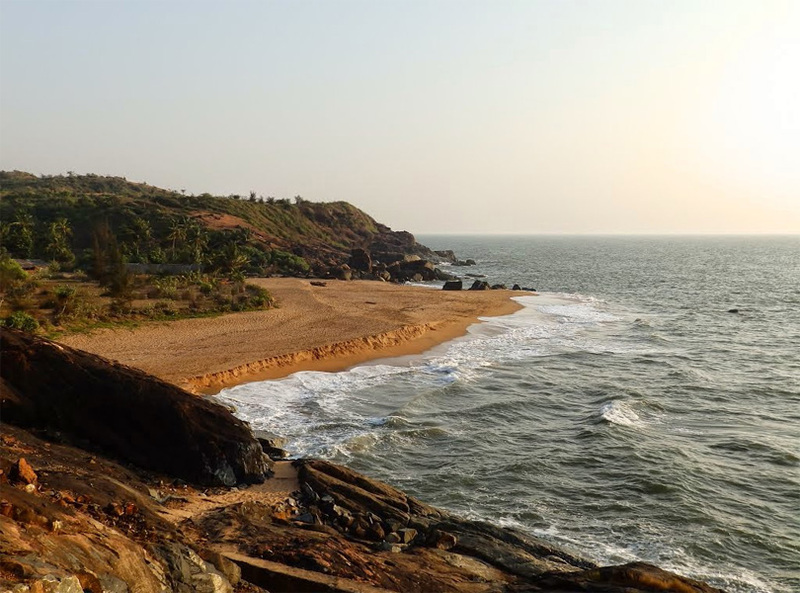 It is one of the charming beaches of Karnataka where sun loses in the horizon and the sky becomes crimson and the sun rays reflect in the sea and the river. 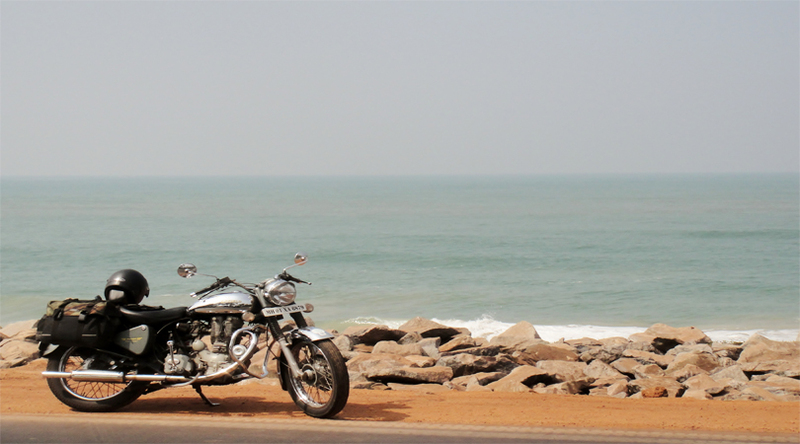 The picturesque beauty of Maravanthe has made it a popular picnic spot for the locals. Undoubtedly, this stunning land of golden sands and azure water is an ideal spot for relaxing. 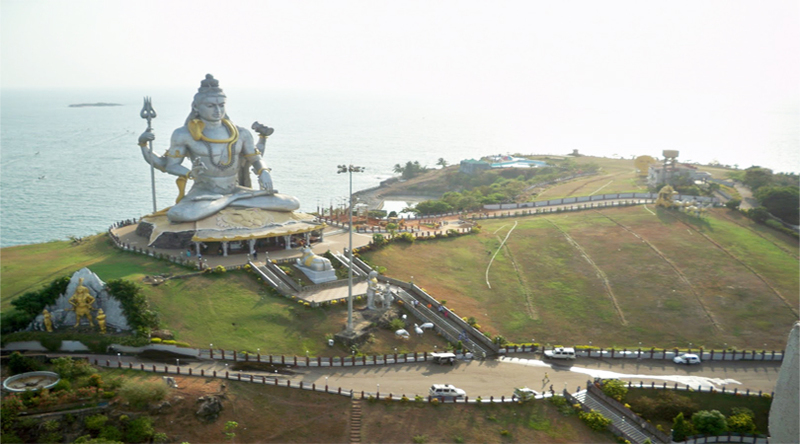 The temple town of Murudeshwar is also popular for its charming beaches. Fringed with coconut and Areca groves, the Murudeshwar beach is encircled by the sea and heaving hills. The eminent temple of Murudeshwar is an ideal site for devotees while the beach is a perfect stopover for the holidaymakers and adventure freaks. Netrani Island in Murudeshwar town offers excellent scuba diving opportunities for the divers. St. Mary’s Island beach becomes unique due to the formation of basalt rocks found here. These rocks have been crystallized into columns and divided into vertical hexagonal blocks. 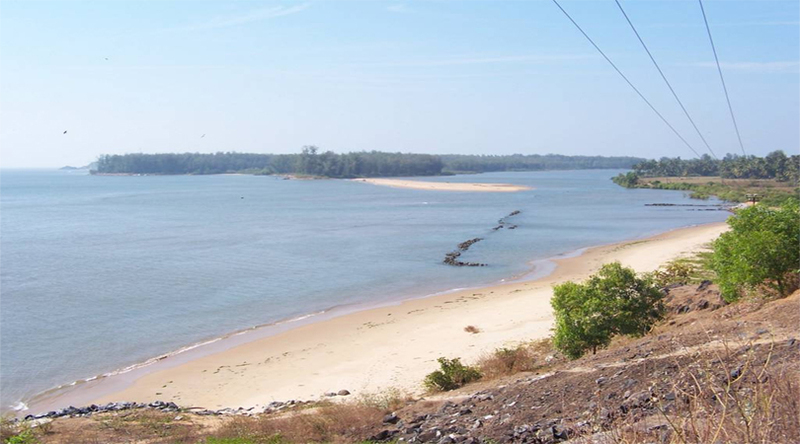 Opposite of other beaches, this unique beach in Karnataka does not promote swimming or wandering along the shores. It is a place where one can watch around and wonder at the peculiarity of the extensive rock formations near the beach. 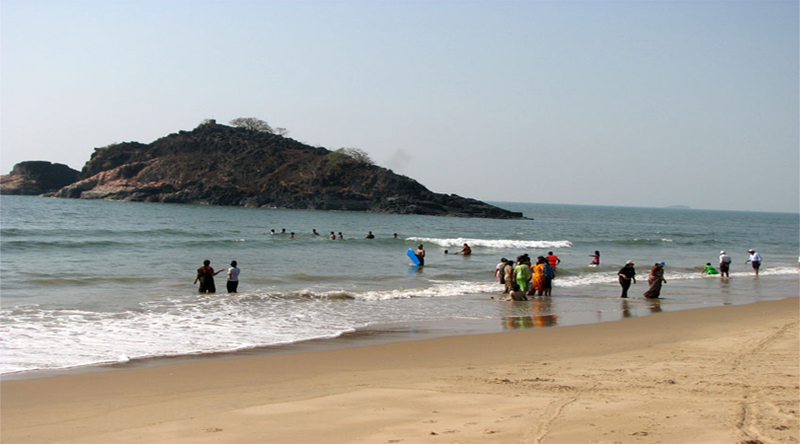 Situated in Gokarna town, Kudle Beach is the most popular among the Gokarna town in the state. The calm environ of the beach is an added advantage of the place that caters to all those visitors who seek to have some beautiful time in absolute solitude. The beach caters to the modern travelers coming to the state for enjoying different water sports activities like Jet skiing, Banana Boat Rides, white water rafting, kayaking and diving. Malpe Beach is among the most stunning beaches in Karnataka State. 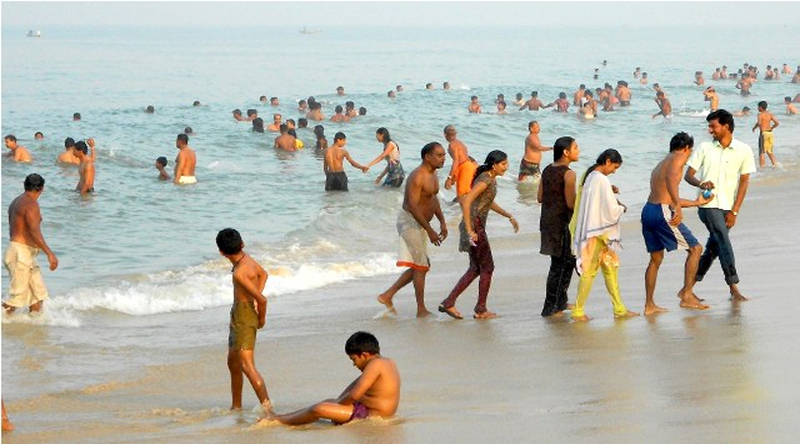 Situated 6 KM to the west of Udupi district, this is a golden beach that is amazingly clean. With soft sea, sand and numerous eateries alongside the beach, it offers beautiful moments of relaxation. The sunset at the Malpe Beach is superbly breathtaking. 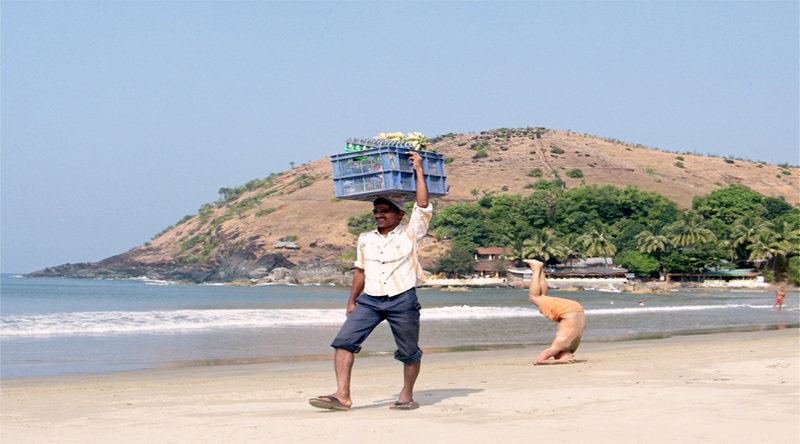 The main attractions of the beach are the scenic views and temples of Balaram and Ananteshwara.